Taking its title from the original name given to Le Corbusier's Villa Savoye in the outskirts of Paris, Haroon Mirza's exhibition 'The Light Hours' establishes a dialogue between this iconic building and his own extensive site-specific installation of sound and light. 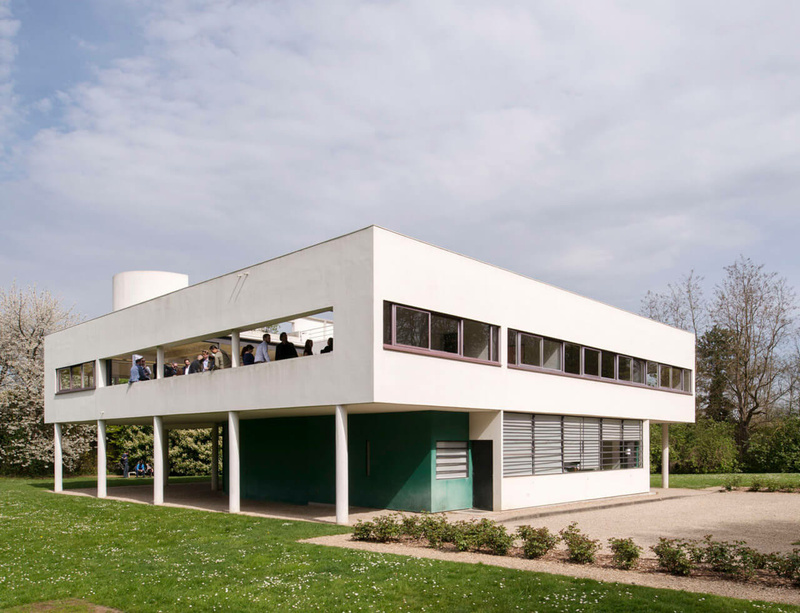 Basing his work on the history and functional evolutions of the Villa Savoye, Mirza has installed a system of solar panels to power a network of acoustic vibrations, transforming that which Le Corbusier called an "unspeakable space" into one rich with sonic and architectural resonance. Accordingly, Mirza only visited the site when blind-folded, because, as he says, "I wanted to limit the sensorial information I received from the space so that the remaining (and less dominant) senses were heightened and received more information." Another show by the artist, titled 'Random Access Recall', is at the Grand Café art centre in Saint-Nazaire. One of the new works, Access Boot (2014) alludes to the area's military history and to the past of the site itself as a café with a reception and dance rooms. Always attentive to the particular texture of a context, Mirza occupies this 'found architecture' and multiplies the references: it is partly inspired by the Wolfgang Petersen film Das Boot, which relates the story of the German submarine U-96 (Kriegsmarine) and its crew during the Second World War, and partly by Access, a 1990s Acid House single by DJ Misjah and Tim. The work is loaded with an undeniable political conscience, and reads like a vast sensory equation, shedding light on the specificities of the architecture opening onto the town.